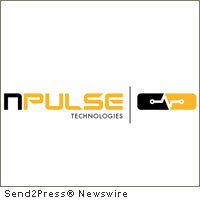 CHARLOTTESVILLE, Va., Aug. 16, 2011 (SEND2PRESS NEWSWIRE) — nPulse Technologies today announced that Tim Sullivan has joined its leadership team as CEO. Most recently, Sullivan was CEO and then Chairman of Fidelis Security Systems, an early pioneer in DLP technologies which he founded in 2002. Sullivan is a successful entrepreneur with a 20-year track record of building emerging technology companies. With his innovative work at Fidelis on extrusion prevention technology, he was a leading player in the development of the data leakage prevention (DLP) market. He led the company from pre-revenue through to its first seven-figure deals, the injection of $26 million in venture financing, and the establishment of strategic business alliances with technology leaders such as IBM. Prior to Fidelis, Tim was Executive Vice President of InforMax, Inc., a high-growth bioinformatics software company, and was instrumental in raising $100 million in venture capital and strategic investment, culminating in the company’s initial public offering. He is a former U.S. Marine Corps Infantry Platoon Commander, and holds a BA and MBA from Columbia. nPulse Technologies is a leader in high-speed packet capture and replay. The company’s flagship product, HammerHead Capture & Replay, enables high-fidelity network analysis and visibility by providing full packet capture at speeds up to 20Gbps. Designed around open industry standards, HammerHead delivers unprecedented performance at an affordable cost and allows for easy deployment with existing IT solutions. nPulse Technologies is a world-class provider of information technologies, a trusted advisor to its clients, and a respected industry leader in packet capture technology. The company is a privately held, Veteran-owned business with a strong history of service in the Federal government community. It is headquartered in Charlottesville, Virginia, USA. For more information, visit www.npulsetech.com . Original Keywords: Tim Sullivan, HammerHead Capture and Replay, high-fidelity network analysis and visibility, packet capture and replay, Virginia business news, fidelis, packet cap, pcap, network operations center, noc, security operations center, soc nPulse Technologies, LLC Charlottesville Virginia CHARLOTTESVILLE, Va.
REFERENCES: Business News, Tim Sullivan, HammerHead Capture and Replay, high-fidelity network analysis and visibility, packet capture and replay, Virginia business news, fidelis, packet cap, pcap, network operations center, noc, security operations center, soc nPulse Technologies, LLC Charlottesville Virginia CHARLOTTESVILLE, Va.